Copenhagen has been awarded a prestigious C40 Cities Award for the city’s comprehensive management and protection plan aimed at preventing flooding and encouraging growth in the Danish capital. 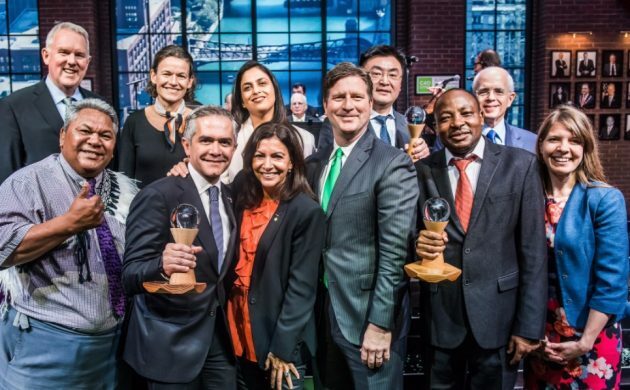 The Danish capital won in the Cities4Energy category for energy surveillance, management and efficient operation in recognition of a strategy that aims to save 25 percent in energy and water consumption by public buildings by 2025 (read more about it here). “This initiative has already proven massive potential for reductions in greenhouse gas emissions,” wrote the C40. It’s the third time that Copenhagen has won a C40 award – its most recent triumph coming just last year thanks to its protection plan aimed at preventing flooding and encouraging growth. Annemarie Munk Riis – the head of Copenhagen’s division of finance administration, business and growth – was in Chicago on behalf of the city to pick up the award. The C40 is a network of 90 of the world’s largest cities committed to fighting climate change. Copenhagen has been part of the C40 since 2009.